The weather usually cooperates. Even rainy summer afternoons turn into beautiful sunsets just in time for photos. If we are rained out for your photo session, it will be rescheduled to sunrise the next morning unless other arrangements are made. All selected images are professionally edited in Adobe LightRoom to deliver the best possible end product. The following items are included in the price of your photo package. We brighten eyes and teeth. Remove unwanted wrinkles and blemishes and really clean our subjects up. We also remove people and things (chairs, trash, signs, etc..) from the background of your photos. Our example photos speak for themselves. All images to be edited will be selected by your photographer. We have had years of experience editing are able to see small problems or significant elements to be enhanced in the photos that do not transfer to the proof sheets. We work off a flat pricing model so there are no hidden fees with the Digital download included in our packages. All images are in a High-Quality Digital format (.jpg) and are yours to keep. You own the rights to your photos. 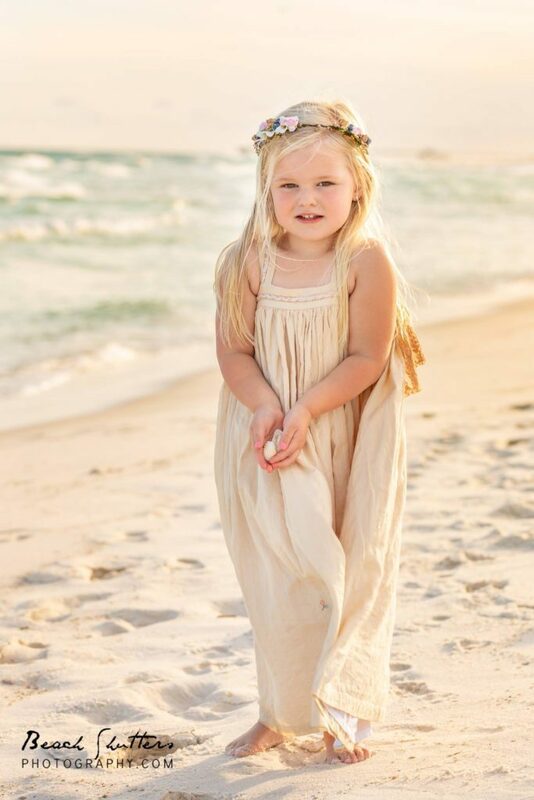 A travel fee of $25 will be applied if the Photographer travels to your location outside of Orange Beach. All Packages are for High-Quality Digital images only. Your Photos can be delivered to you on CD/DVD or by a secure Digital Download from PixieSet. If you choose to have a CD/DVD mailed to your home there is a small $10 shipping and handling fee for each CD/DVD requested. This fee is to cover the cost of purchasing the media for you and, shipping materials, and postage cost. Having your vacation memories captured forever is less expensive than a nice dinner. Experience how fun family photos can be and book with us today! If we have to travel to your location outside of Orange Beach there is a minimum (25$ Oct-April) ($50 May-September) travel fee per package. If you would like more edited photos than is included in the package you purchased we can accommodate you if photos have not been removed. You can upgrade to the next sized package or purchase each additional photo for $20 each. If you choose to have a CD/DVD mailed to your home there is a small $10 shipping and handling reimbursement for each CD/DVD requested. This fee is to cover the cost of purchasing the media for you and to, shipping materials, and postage cost.